Hull FC Challenge Cup winning squad of 1981/82. Infamously so, a victory at Wembley eluded Hull FC for so many years, but that took nothing away from the eighty minutes of rugby league heaven that adorned the Elland Road turf on the night of the 19th May 1982. 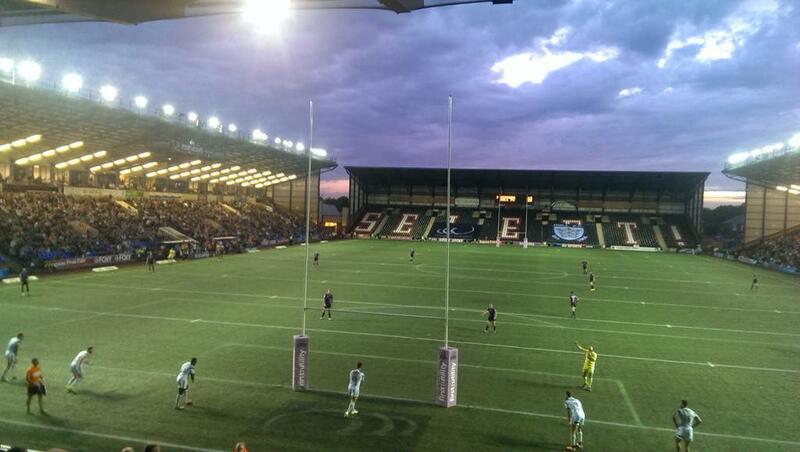 There was a feeling that the Challenge Cup owed Hull FC. The club last won the trophy at Halifax’s Thrum Hall in 1914 and they had lost the previous five finals they had participated in – three of them at Wembley. 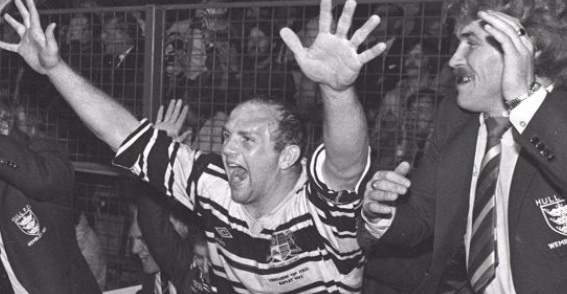 Giving strength to what seemed – until their demise at least – a twin tower hoodoo, London was the place of heartache, but for Hull FC fans this occasion in Leeds was magical, thanks largely to the talents of stand-off David Topliss. Hull’s squad was on the rise in the early 80s, attracting large crowds with a vibrant brand of rugby cherished on the Boulevard terraces. Already possessing the John Player Trophy in the cabinet thanks to victory over Rovers, Hull were a powerhouse in the game having come second in the league and a regular in final participation. Such eminence was forthcoming, and on the most savoured of nights Arthur Bunting’s Hull FC finally delivered to win the most prestigious of trophies. 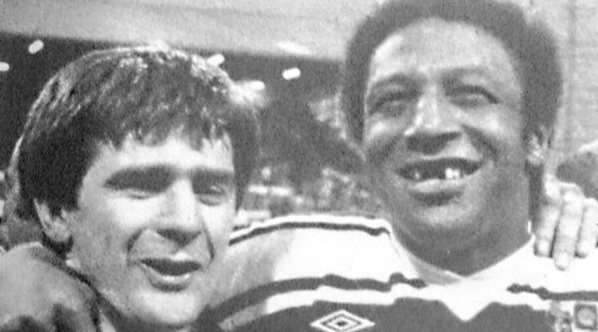 Clive Sullivan was 39 years young on the night of the final. 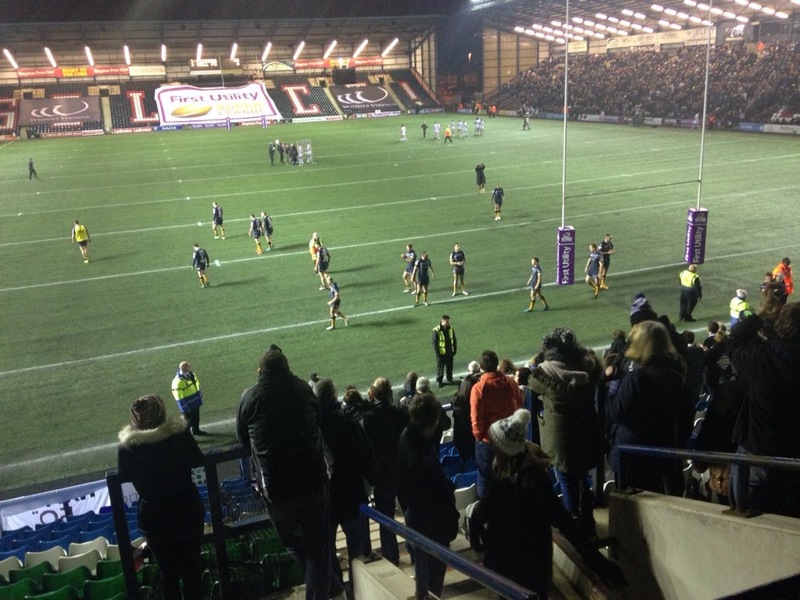 Topliss, Steve Norton, Jimmy Leuluai and co swiftly polished off Widnes for a second Challenge Cup triumph after a 14-14 draw in the capital eighteen days prior. 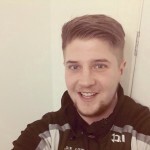 In the electric West Yorkshire atmosphere, a packed Elland Road stadium saw the fourth meeting of the two sides in just under a fortnight, with the Chemics comfortably dispatching the Airlie Birds just four days earlier in the Premiership final. Though that did little to dilute the tension built up in the 40,000 strong crowd pre kick off. In the Wembley draw Widnes had dramatically recovered to resist Hull after a league hammering. Tries from Steve Norton and Dane O’Hara, not to mention four Sammy Lloyd goals weren’t enough, as a trio of Widnes tries repelled the Airlie Birds’ onslaught. But little did it matter, wearing their irregular hoops Hull showed remarkable response in Leeds from that Premiership hammering to lift their first Challenge Cup trophy in 68 years. David Topliss scored two tries in a man of the match role. A memorable occasion, a feast of rugby league excellence was to be delivered, sufficient to even satisfy the most severe critic of the games younger code. Hull FC out scored Widnes by four tries to one with man of the match David Topliss expertly leading the way with a try brace. The Chemics – as they have done countless times against Hull – played their part in a magnificent spectacle, but this was our night. Hull mastermind Arthur Bunting justified his coach of the year title making – whether through injury, illness or preference – six changes from the Wembley side, not to mention motivating a despondent and downbeat crop of players after a Premiership final defeat. Captain Topliss scored a try in each half to form the basis of Hull’s victory, but with veterans Tony Duke, Tony Dean and record try scorer Clive Sullivan amongst their ranks, the Airlie Birds were heading to rugby league excellence. Widnes goal kicker Mick Burke opened the scoring with a penalty after 18 minutes, but Hull replied with two classy tries from well executed moves. Gary Kemble went over first, before Topliss used James Leuluai as a decoy to perfection as he exchanged passes with the three-quarter for a splendid try. Crooks converted first, but his second effort struck the post. All smiles for Toppo and Sully post-match. After the break the resolute nature of a battling Widnes side began to tell. A series of penalties pulled them back into the game. Burke added a further penalty goal, before winger Stuart Wright darted over. Widnes were now just one point behind Hull, but the Airlie Birds stepped up again with a pass from Steve Norton finding David Topliss for his second try. Burke then added another penalty goal, but any doubt in the result was soon put to bed as the young and quite brilliant Lee Crooks glided through to the posts for the game clinching try, before adding the goal himself. Completing a remarkable victory, Topliss lifted and parading the Challenge Cup trophy around Elland Road after 160 minutes of thrilling action, with the scenes of celebration and overwhelming joy evident in the terraces, on the pitch and back home as the Hull crowd went wild. Steve Norton was instrumental for Hull FC. Hull Starting XIII: 1. Gary Kemble, 2. Clive Sullivan, 3. James Leuluai, 4. Steve Evans, 5. Paul Prendiville, 6. David Topliss, 7. Tony Dean, 8. Keith Tindall, 9. Tony Duke, 10. Charlie Stone, 11. Trevor Skerrett, 12. Lee Crooks, 13. Steve Norton. Sub: 14. Tony Day, 15. Mick Crane. Widnes Starting XIII: 1. Mick Burke, 2. Stuart Wright, 3. Kieran O’Loughlin, 4. Eddie Cunningham, 5. John Basnett, 6. Eric Hughes, 7. Andy Gregory, 8. Mike O’Neill, 9. Keith Elwell, 10. Brian Lockwood, 11. Les Gorley, 12. Eric Prescott, 13. Mike Adams. Sub: Myler, Whitfield. Scoring Chart: 0-2, 5-2, 8-2, 8-4, 8-7, 13-7, 13-9, 18-9.